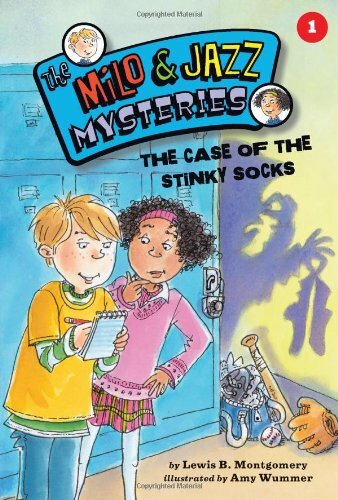 Milo and Jazz Mysteries by Lewis B Montgomery, Illustrated by Amy Wummer Reviewed by Georgia. These books are a series and I have read a couple of them. They are about a boy called Milo who meets a girl named Jazz. They are both into solving mysteries so they become a team. Now they find strange problems and work together to solve them. At the end of each book there's a couple of pages of riddles and tricks that you have to solve. Patty and the Shadows by Patty (Patrick Mills) with Jared Thomas, Illustrated by Nahum Ziersch, Reviewed by Flynn. My book is about an NBA player. It is about what he does as a kid. He plays for his school and he does well in his first season. But in his second season he has to play for a team called the Shadows. The Shadows is for kids with different backgrounds. Patty's dad is Aboriginal and his mum is from the Torres Straits. He plays for the Shadows and they make it to the grand final against Patty's old team. In the grand final with only four seconds to go Patty gets the ball (the Shadows are one point down) he shoots and scores and the goal is worth two points so they win by a point. Rated: 5/5 - "I give it 5 out of 5. I recommend it for kids between 7-12!" 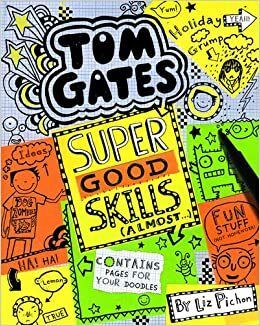 Tom Gates: Super Good Skills (almost ...) by Liz Pichon, Reviewed by Cole. It was about this boy called Tom and he loved to do rock with his friend called Derek but hates school. He also has a holiday with his family and that turns out to be the worst holiday he has ever had! Holes by Louis Sachar, Reviewed by Zoe. Stanley Yelnats (name still the same even if you spell it backwards) has been taken to Camp Green Lake. Despite its name it is in the middle of the desert. Stanley's family has a history of bad kuck all because of his no-good-rotten-pig-stealing great-great-grandfather. Every day at Camp Green Lake they have to dig holes that are 5ft in dimension. What are they digging for? How did Camp Green Lake dry up? Why are there so many lizards? And what do onions have to do with it all? Stanley's past might have the answers. 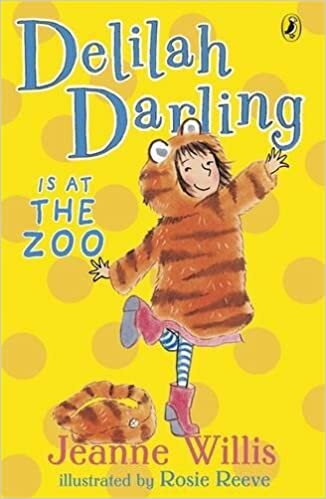 Delilah Darling is at the Zoo by Jeanne Willis, Illustrated by Rosie Reeve, Reviewed by Lily. Delilah is going on an excursion to the zoo. She tells her mum that she needs 100 pounds to go there (plus a raincoat, new lunchbox and a sandwich with no cheese). Her mum does not believe her but her dad does. At the zoo shop she sees a lunchbox with a tiger on it but her enemy Charlotte buys it instead. The teacher gets the class to do a quiz and whoever wins will get a prize. Charlotte wants it to be a dollhouse. It turns out to be a gorilla lunchbox which Delilah wins. Rated: 5/5 - "because it has 152 pages." The 26-Storey Treehouse by Andy Griffiths, Illustrated by Terry Denton, Reviewed by Holly. Andy and Terry are telling stories about how they met. They also explain how they met Jill their neighbour. Then they talk about how the pirates took over the treehouse. Then they all get killed. Rated: 100/5 - "because it's about dying and stuff." 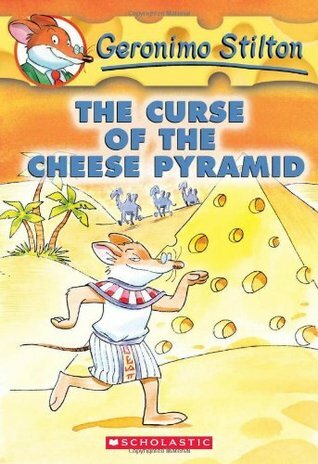 Geronimo Stilton: The Curse of the Cheese Pyramid by Geronimo Stilton, Reviewed by Gabriel. This is about a little mouse who goes to the pyramids and finds a new way to make electricity (using camel dung). Then Geronimo writes about electricity in the newspaper.